An open mind, a willingness to learn something new. Must be completely honest when completing the work. There is this unsettled part of you that yearns for something that is missing: More meaning, fulfillment, happiness, better health, and time for what is truly important to you. You know you want more out of life, but you don’t how to get started. If this sounds like you, then this course is for you. This course will take you from being a passive learner of new material to an active participant in writing the next chapter of your life, on your terms. 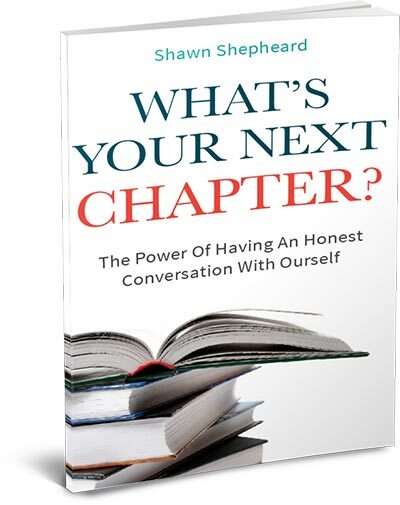 You will learn the same tools that Shawn has used to design his ideal life, and immediately apply them to your life. It’s like having Shawn as your personal coach. So click on the “take this course” button to get started! Please note that the benchmark of success is subjective and dependent on your honesty and effort t to complete the work. Anyone who feels stagnant with their life. Anyone who wants to add more enrichment to their life. Anyone who wants more than goal setting exercises.